Soaked in sunshine and overflowing with infectious energy, Daytona Beach is a destination that will keep you entertained from the moment you arrive. This popular Florida vacation town attracts visitors from all over the country because of its lively boardwalk, top-rated beaches, and world-famous racetrack. No matter why you choose to visit Daytona Beach, you should work with Vacatia to find the best vacation rental for your stay. If you want to stay in the heart of Daytona Beach, Vacatia can help you book your stay at one of the top resorts near Daytona Beach attractions. 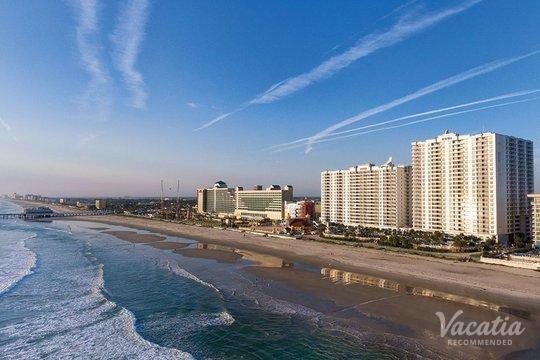 From the beach to the boardwalk to the Daytona International Speedway, there are plenty of popular locations to choose from when you're planning your Daytona Beach getaway. Allow Vacatia to help simplify your planning process by providing you with a curated selection of top vacation rentals in Daytona Beach, from which you are sure to find a rental that will exceed your expectations and make your Daytona getaway one you'll never forget. Florida is known for its year-round sunshine and its beautiful beaches, and Daytona Beach in particular is one of the state's most beloved destinations. Every year, auto-racing fans flock to Daytona Beach to watch some of the world's most exciting racing events, such as the Daytona 500. You don't have to be an auto-racing fan to enjoy Daytona Beach, however, because there's so much to do and see in Daytona Beach. If you love golfing, swimming, biking, or just enjoying the beautiful beaches, Daytona Beach is sure to become one of your favorite vacation destinations. 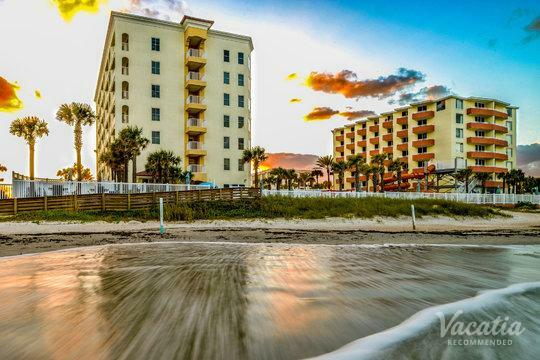 You could stay at one of the best resorts in Daytona Beach near boardwalk, beach, and restaurants when you rely on Vacatia to book your accommodations. Vacatia's unique vacation rentals offer so much more than just a typical hotel offers, as these rental properties provide the comforts and space of a home as well as the services of a resort. When you stay at a Vacatia vacation rental, you will have access to your own fully equipped kitchen where you can whip up meals or snacks before heading out to the beach or the racetrack. 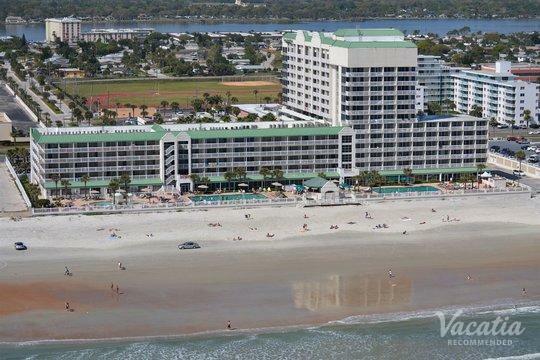 Your time in Daytona Beach is sure to be unforgettable when you book your accommodations through Vacatia. From its crowded beaches and its bustling boardwalk to its breathtaking natural scenery and its abundance of outdoor activities, Daytona Beach offers something for every type of traveler. No matter what you have on your Daytona Beach itinerary, you can make sure that your time in this beautiful Florida coastal town is unforgettable by working with Vacatia to book the perfect vacation rental. After enjoying all that this vibrant beach town has to offer, you can return to your comfortable, spacious home away from home courtesy of Vacatia. 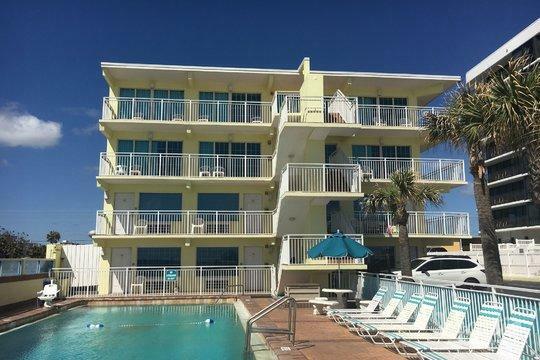 So make sure that your sun-soaked Florida vacation is one for the books by booking your Daytona Beach vacation rental through Vacatia.